Tight top with inbuilt brah and high poloneck that ties up. Deisgned low in the back and with a long waistline to cover the hips. A top to wear both on and off the mat! 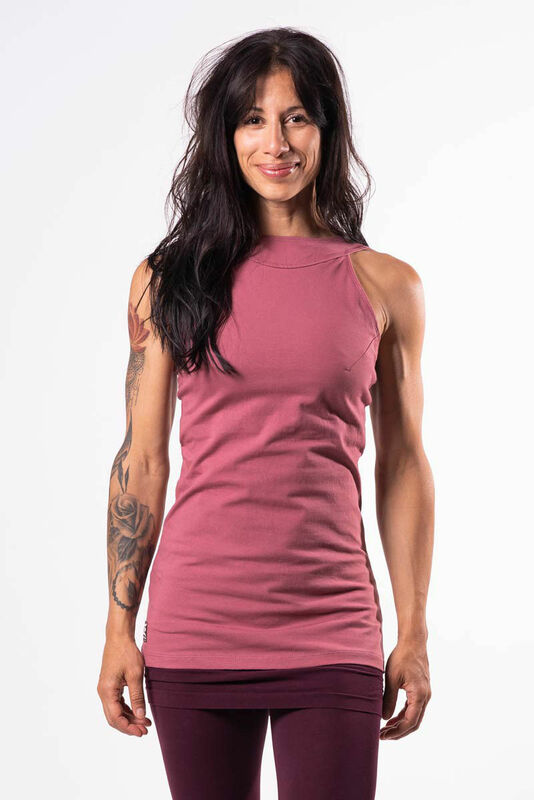 This top is made from stretchy organic cotton/lycra. Designed in Sweden and made in sweet collboration with owner and workers iin familyowned seamstress company.